BoDean Company has been a supplier of aggregates since the spring of 1989 and asphalt since 2001 when it acquired an asphalt plant located in Santa Rosa, CA. With safety and quality as the driving forces of its business, BoDean Company is able to supply its customers with quality products to fulfill any of their specific aggregate needs. 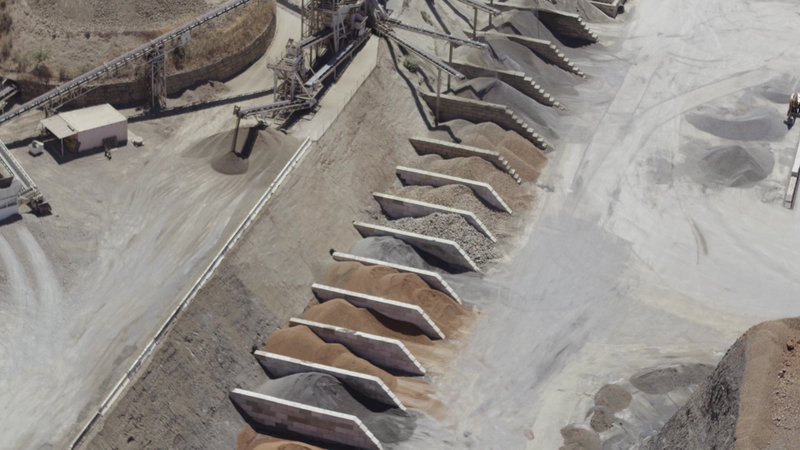 Aggregates are the only mineral commodity produced in every state in the union and it is estimated that approximately eight tons of aggregates are used for every American each year. Simply put, aggregates are a necessary means to both construction processes and impact everyone’s daily living. So, what is an aggregate? noun 1. any of various loose, particulate materials, such as sand, crushed rock, or pebbles, added to a cementing agent to make concrete, asphalt, etc. 3. adj. consisting of a mixture of minerals separable by mechanical means. In other words, aggregate material is the rock foundation of all projects from highways to homes. Aggregates are formed when mineral material, such as sand, gravel or crushed stone are used with a bonding medium, like cement or clay, to make concrete, plaster or other rock-based products. Whatever you are building, your project will begin with an aggregate material. From running water or electricity lines to laying asphalt, rock is the first and primary material for everything that is built and the foundation of any construction project. Where do aggregates come from? All aggregates are a natural resource. At BoDean Company, all aggregates are mined from one of the two quarries owned and operated by the company. A quarry is a place, typically a large, deep pit from which stone or other materials are or have been extracted. BoDean Company operates two quarries, BoDean Forestville Quarry and the Mark West Quarry. Once the mountainside is drilled and blasted, quarry stone is then processed into aggregate stone through a step by step process before taking on its desired state and being made into all of the products offered by BoDean Company. Aggregates are one of the most abundant natural resources found in the earth and they are also the most mined material in the world. BoDean Company is able to produce variations of color in its aggregate material from resources extracted from its two quarries. Colors can range in shades including light blue, greenish grey and variations of red/brown. First, the mountainside is drilled and loaded with explosives. The rock is blasted to loosen and break the earth into pieces. The rock is then taken to be crushed into smaller pieces of various sizes. Once crushed, the pieces are sent through a screening process. Here, each piece of rock is separated into various groups and sizes of products that BoDean Company produces. Finally, the rock, or aggregate, is sent to be washed. It is in this phase that the rock is cleaned and fine grains, like silt, dirt, and clay are removed. At BoDean Company, safety and environmental standards are at the forefront of all operating procedures. The company seeks to improve its carbon footprint by going above and beyond governing standards. As land is mined, the standard practice for BoDean Company is to reclaim the land by resoiling, and replanting the site concurrent with mining. While reclamation plans require all quarries across the country to reclaim land, most do not make remediation attempts until resources have been exhausted and depleted. BoDean strives to reclaim as quickly as possible and works to use every single resource that is extracted from the land, leaving nothing to waste. BoDean Company is also an honored recipient of the Bay Area Helios Award for leadership in Sustainable Business Practices and in pursuing ways to be green-minded and environmentally aware. In 2011 BoDean Company became the first 100% solar powered rock quarry in the world. BoDean Company processes aggregates to create a wide range of products including base rock, drain rock, sand, subbase, rip rap and more. 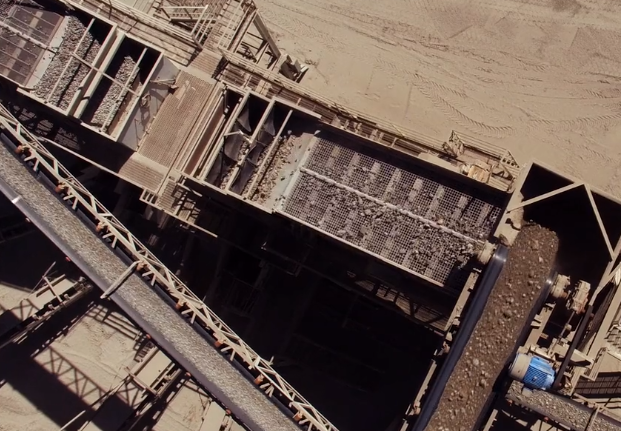 Through its processing systems, BoDean Company is also able to produce highly engineered aggregates, including project-specific blends that are outside of the normal production lineup. The team at BoDean is skilled in quality control/quality assurance and determining the necessary materials for whatever project is set before them. © BoDean Company. All Rights Reserved.